From the man dubbed the 'Sleep Whisperer' comes a brand-new approach to fixing your sleep, once and for all. Challenging the reader to take control and to stop hiding behind excuses for a bad night's sleep, neurologist W. Chris Winter explains the basic, often-counterintuitive rules of sleep science. Dr Winter explores many revolutionary findings, including surprising solutions for insomnia and other sleep disturbances, empowering readers to stop taking sleeping pills and enjoy the best sleep of their lives. 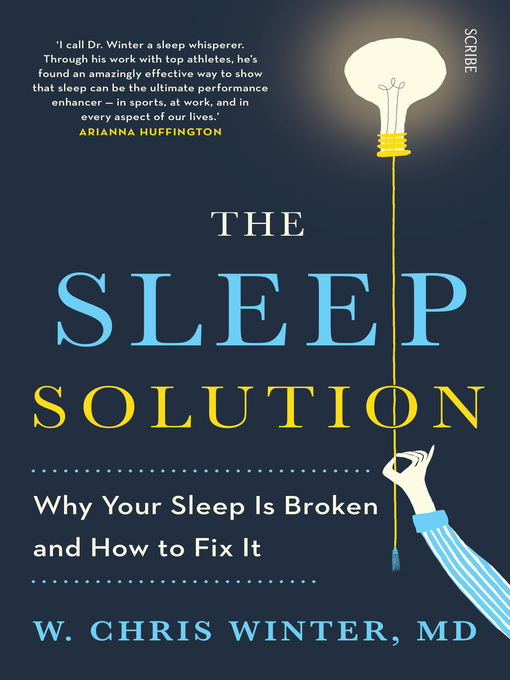 Written in a clear and entertaining way, The Sleep Solution contains tips, tricks, exercises, and illustrations throughout. Dr Winter is an international expert on sleep and has helped many thousands of patients—including professional athletes—rest better at night. Now, he's ready to help you.